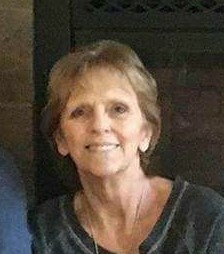 Marti Norman, 65, of Washington, passed away at 12:14am Sunday, May 27, 2018 at OSF St. Francis Medical Center in Peoria. Marti was born May 31,1952 in Carbondale, to Claude and Lucy Nichols Hastings. She married Charles Norman on August 31, 2000 in Wellington, KS. Surviving is her husband Chuck of Washington; daughters, Suzette (Ed Schroeder) Hall of Oak Run, Michelle (Danny) Hale of Mackinaw; step-daughter, Dawn (Rodney) Thurston of Washington; 7 grandchildren, 4 great-grandchildren; two brothers, one sister; nephew, Geoff Landrum; and her kitty, Scarlett. She was preceded in death by her parents; two sisters; and one brother. Marti worked at Thompson’s Food Basket and Sullivan’s Foods for many years. She loved being in her garden, tending to her flowers and vegetables. Feeding the squirrels and watching the birds fly around her yard also gave her great joy, as did garage sales and antiquing. A graveside service will be held at 10:00am Friday, June 1, 2018 at Hirstein Cemetery in rural Morton. In lieu of flowers, memorial contributions may be made to TAPS No-Kill Shelter, Illinois CancerCare Foundation, or Washington Rescue Squad.